Michael A. Palladino is an associate at Pitta LLP practicing in the area of labor employment, employee benefits and the respective Taft-Hartley Funds. Mr. Palladino negotiates collective bargaining agreements on behalf of the firm’s private and public sector unions. He provides counsel for labor unions on all labor and employment matters, including compliance with federal, state and local laws and regulations, employee discipline and counseling and represents clients in arbitrations and in proceedings before various federal, state and city governmental administrative agencies. He has represented Union clients in various disciplinary and contractual arbitration hearings as well. Mr. Palladino represents and counsels clients through United States Department of Labor, New York State Department of Labor and Office of Labor-Management Standards investigations. 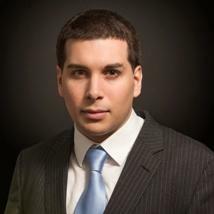 Mr. Palladino received his Juris Doctor from Fordham University School of Law, where he graduated with honors in 2013. Mr. Palladino served as a staff member on the Journal of Corporate and Finance Law. Mr. Palladino received his undergraduate degree from Fordham University, where he graduated with honors in 2010. Mr. Palladino is a member of the New York State Bar Association, and he is admitted to practice law in the state of New York, as well as the U.S. District Court for the Southern and Eastern Districts of New York.